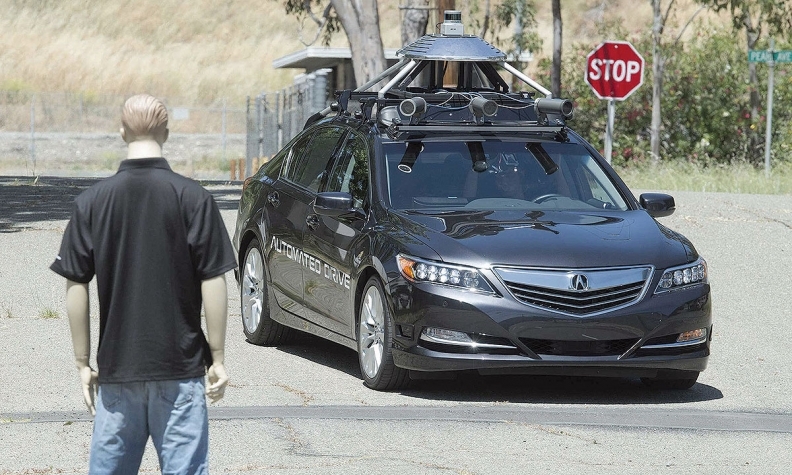 An autonomous Acura RLX approaches a mannequin during one of Honda's self-driving demonstrations at the GoMentum Station. CONCORD, Calif. -- In a secretive decommissioned Navy base here in the rolling hills just northwest of San Francisco, a dummy stands next to a duffel bag in the road as an autonomous Acura RLX careens toward it. This was just one of several demonstrations last week by Honda at the GoMentum Station, a 2,100-acre autonomous-vehicle testing site with 20 miles of cracked roads, bridges and faux cityscapes that's off-limits to the general public. Ostensibly, the event was to highlight Honda's progress in developing and testing autonomous vehicles. But it also served as another reminder that after years of distractions and doubt, Honda is keen to reassert itself as a leader in innovation. This is why Honda hosted an open house last summer when it moved its Silicon Valley-based Honda Research Institute into new digs. It's also why a dummy in a polo shirt was staring down a self-driving RLX in front of a group of journalists last week. Looking to emerge as more of a player in self-driving -- particularly among mainstream brands -- Honda has said that by 2020 it wants its suite of semiautonomous features to evolve to enable its vehicles to handle freeway driving on their own. 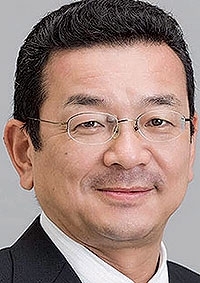 Toyota and Nissan have outlined similar timelines. "2020 is a key target, the year when we expect to put autonomous driving technology into practical use on highways," said Jim Keller, chief engineer for autonomous vehicles at Honda R&D Americas. The system will allow cars to automatically merge, change lanes and exit. "Essentially it's on-ramp to off-ramp automation." "The idea is to bring these technologies to customers at a reasonable price," Keller said. Tesla's Model S has robust automation on the highway today, while other luxury land yachts such as Mercedes-Benz's S class and Audi's A8 aren't far behind. Cadillac's Super Cruise system is slated to roll out in its CT6 sedan next year. Acura is handicapped because the brand's lineup only reaches as high as the middling RLX, a sedan that peaks at about $67,000 and has failed to find an enthusiastic audience. This sets Acura apart from nearly every other premium brand because it lacks a high-dollar flagship on which it can showcase gee-whiz automation technologies long before they're economical for the mass market. "By mid-2017, having some form of assisted highway driving in premium brands will be something that consumers will expect," Xavier Mosquet, senior partner at Boston Consulting Group, told Automotive News. "And it will be as important as other comfort and engine features." "If you don't have it, you're going to be totally out of the market," he added.